Mr. Barse is a 1980 graduate of the University of Delaware with a bachelor’s degree in political science. He received his law degree from Georgetown University Law Center in 1983. Upon graduation, he served as Judicial Law Clerk to the Honorable Philip A. Gruccio, Assignment Judge, in Atlantic City. He was admitted to practice law in the State of New Jersey in 1984. Mr. Barse’s practice is concentrated in the areas of Labor Law, Local Government Law, Business Law, Banking, Estate Planning and Administration. He is solicitor for the Borough of Avalon and serves as labor counsel for various municipalities. He has concentrated in private and public sector labor relations and employment for more than 20 years, representing clients in mediation, arbitration, disciplinary proceedings, unfair practice charges, and related labor and employment matters. He represents clients in commercial and residential real estate transactions and financing transactions. Mr. Barse also provides training to employers regarding work-place issues and conducted investigations of employee claims of harassment and discrimination. Mr. Barse is currently a member of the Board of the American Red Cross – Southern Shore Chapter. 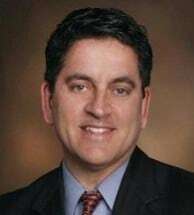 He has previously served on the Board of Directors for the American Cancer Society – South Jersey Region and the Vineland YMCA.